Seaford Baptist Church was filled with a festive atmosphere on Sunday 7th December for the Mayor of Seaford’s Christmas Carol Service. Dignitaries, councillors and members of the public alike were in attendance to enjoy the service that was presided over by Reverend Vicky Martin. The theme of the afternoon was ‘Hope for Seaford’, with the intention of recognizing the community spirit of Seaford, how members of the community and organizations bring hope to each other and the positivity of working together to improve the town. 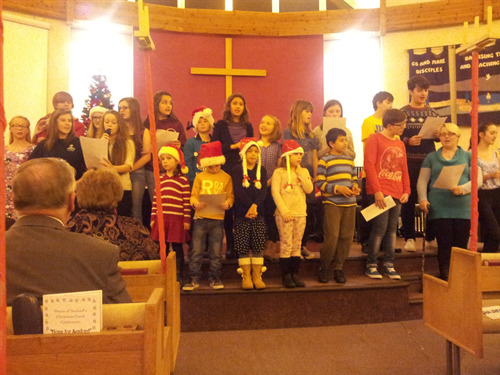 The Seaford Baptist Church Concert Choir led in the singing of some well-known carols that the congregation enjoyed joining in with. There were also some great performances of much loved Christmas songs from the talented children of Seaford Musical Theatre Juniors. Readings were given by Deputy Mayor Terry Goodman, Town Crier Peter White and Freeman of the Town Laurie Holland. 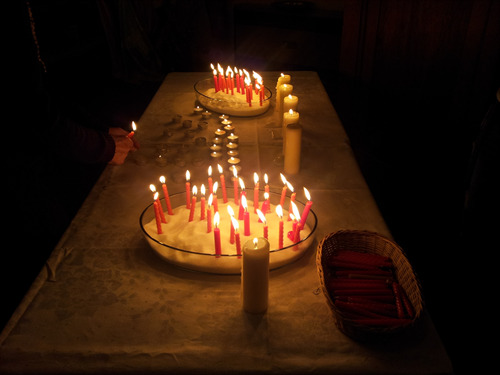 The congregation was encouraged to light a candle for Seaford as a symbol of hope. After the service, everybody gathered to enjoy hot drinks and mince pies. A retiring collection for the Mayor’s charities WAVES Family Support and Seahaven Storehouse raised over £100!